Conrad, Maugham, and Burgess have shaped our perceptions of Malaysia. Now, with The Harmony Silk Factory, we have an authentic Malaysian voice that remaps this literary landscape. 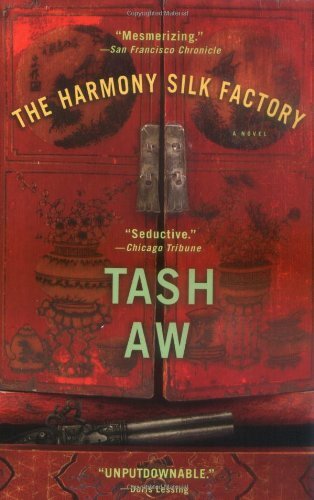 Through his examination of a mysterious and larger than life character-hero or traitor?-Tash Aw gives us an exquisitely written look into another culture at a moment of crisis. Tash Aw was born in Taipei, in the Republic of China, and brought up in Malaysia. He moved to England in his teens and now lives in London. He is the author of The Harmony Silk Factory , which was the winner of the Whitbread First Novel Award and the Commonwealth Writers' Prize for Best First Novel and was longlisted for the Man Booker Prize, and Map of the Invisible World . His most recent novel, Five Star Billionaire , was longlisted for the Man Booker Prize 2013.